For information on Kuhnke's range of AS-Interface products, including the AirBox pneumatic slave module please check out our dedicated website. The KuhnkeAirBox.com website is owned and operated by H. Kuhnke Ltd. You will find useful information about AS-Interface technology, the complete range of Kuhnke AirBoxes, new products including Kuhnke IPC AS-i Masters, Siemens part number equivalents, and much much more. The AirBox range now includes A/B addressable versions of most models. These have been developed for use on AS-i version 2.1 & 3.0. 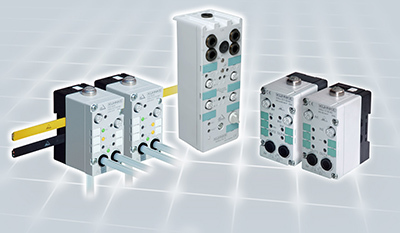 The Kuhnke range has also been extended with the introduction of digital I/O slaves known as EASi BitBox. All information and technical data can be found on the above site.